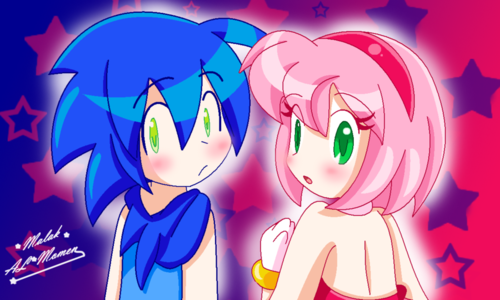 Sonamy Human. . HD Wallpaper and background images in the SonAmy club tagged: sonamy hedgehog amy sonic sweet and. 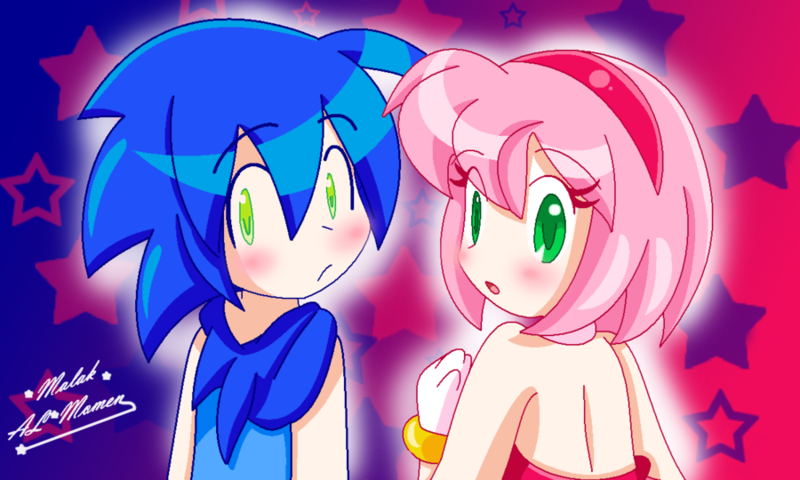 This SonAmy photo contains vitral. There might also be tragaperras, un bandido armado, ranura, animado, cómic, manga, historieta, anime, and dibujos animados. Awww!! That's exactly how they'd look like humanized, in my opinion.